Q. My grandfather was telling us about things he liked about Mass when he was a kid. He said some churches still offer it the old way and priests say it in Latin. Why don’t we have that at all our parishes? A. Your question is a very good one. It’s a question that has had a lot of discussion. Allow me to offer some background and then some thoughts. First of all, I think it is important to point out that the Traditional Latin Mass has been celebrated by our Church for over a millennium. This is actually the way that most of the great saints celebrated and attended Mass. St. Francis and Saint Clare, St. Thomas Aquinas, St. Therese of Lisuex and countless other saints celebrated the Mass this way every day of their lives. Furthermore, this way of celebrating the Mass was most likely celebrated by your grandparents and great grandparents. And whenever you read a book about the Mass that is more than 40 years old, it is the Traditional Latin Mass that is being spoken of. So this way of celebrating the Mass is definitely an important part of our Church’s history. In the late 1960’s, the pope decided to change the traditional way we celebrate the Mass. Just after Vatican II, the pope, and many others who assisted him, came up with the new Mass that we celebrate in most churches today. By “new” I simply mean that the way in which we celebrate it was changed. It is still the Mass but just in a different form. Then, when the Mass was given a new form, there was also a permission given to celebrate it in the vernacular. This means that the new Mass began to be translated into the many different languages of the world. I believe the hope was that people would better understand what was being said and could participate more fully. So the pope saw that during the 40 years after Vatican II we have misunderstood some of the reasons for the new Mass and he wanted to address that. 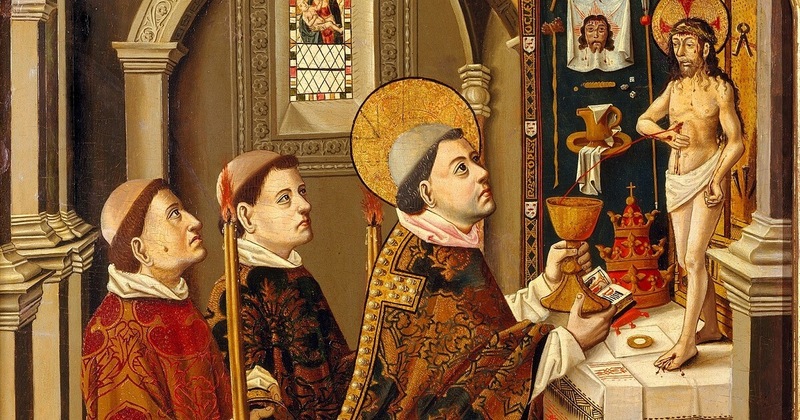 He wants people who are attracted to the Traditional Latin Mass to know that they should not feel as though they are strange or out of touch. Instead, he simply wants everyone to realize that both ways of celebrating the Mass are good and we should all respect each others individual preference. Now, as for your question about this traditional celebration of the Mass in all parishes. I think that, right now, it’s very difficult. Very few priests know Latin well enough to celebrate the Mass that way. Furthermore, most of the laity would have a very hard time attending and following the Mass according to the Traditional Rite. But that doesn’t mean it may not happen more often in the future. I am no predictor of the future, but it wouldn’t surprise me if, over then next several decades, we see this traditional way of celebrating the Mass become more common. Whether or not it ever comes back to every church every day is something we’ll just have to wait and see. But for now, I encourage you to find a church where this form of celebrating the Mass is offered and attend it. It would be a good experience for you. And who knows, you may just like it!